View over the roof tops in old Funchal. This is the perfect place for walkers. Being in the middle of the town it takes four minutes to the market, the same to the super markets and two minutes to the bakery. In the entrance of the building you have coffee shops and a bank. Around the corner there are dozens of bars and restaurants for any taste and still for every pocket. If you walk to the left facing the sea, in ten minutes you will find the swimming area Barreirinha. This is next to the church Socorro. The promenade next to the sea is good for walking or jogging. The garden in front is great for a stroll or relaxing on the benches looking at people. The beach in front is a new pebble beach with free access. It takes you five minutes to get to the cable car to Monte. Next to this, you have the bus station. If you stay here, you do not need a car. If you would like to take a trip around the island, rent a car for one or two days, not a week. There are busses to the golf and other parts of the island. Just check the schedules. Apt. 1.11 is a three bed room apartment on the first floor, facing the sea. It has a spacious hall with antique furniture. A fully equipped kitchen has a table for seating 6 persons. Here you have an oven, a micro wave, a stove, a fridge/freezer, a dish washer, a washing machine and a dryer. From the hall you get into a spacious living room with sofas and a dining table seating up to ten persons. There is a cable TV and a free WiFi. A French veranda is facing the sea and the bakery of the Rua Santa Maria. This bakery is open most of the day and night. From the corridor you can get into the two bed rooms which are facing the sea, both with double beds. One has a floor to ceiling wardrobe and the other older and more classical furniture. The master bed room is facing the patio of the building, and this has twin beds and a private bath room. Both the bath rooms have bath tubs with showers, wash basins, toilets and bidet. The decoration of this apartment is high quality classical with antiques, furniture from the 18th and even 16th century. Visiting Madeira Island you are in for an experience and not just a visit. Here you are in the majestic nature, welcomed by a hospitable people. You will enjoy the local culture, a rich gastronomy and an unforgettable beauty. Madeira is called the Pearl of the Atlantic. It is a Portuguese island, west of Morocco, with subtropical climate. The seawater temperature varies between 17ºC at the coldest in February to the nice 24ºC in the late summer. The rich volcano soil gives the island its abundant greenery – you have lush flowers the whole year as well as the enormous variety of fruit to be found in the winter as well as in the summer. Throughout the island, custard apples, mangos, passion fruit, bananas and avocados grow profusely. The flowers like bougainvillea, frangipani, birds of paradise, orchids, wisteria, jacarandas and a lot of more flowering trees and plants make the island a floating botanical garden. The craggy mountain tops, where the highest is Pico Ruivo at 1860 m above sea level, drop into a series of deep ravines that cuts through the landscape to the sea, making lush green valleys below the dark basalt peaks. The blue water of the Atlantic Ocean is so deep that sperm whales often are found swimming next to the coast. The island is 57 km long and 22 km wide at it’s widest. The north of the island gets more precipitation than the south, and this made it necessary to construct the 1800 km of waterways or Levadas to conduct the water for irrigation of the sugar cane production that mostly is found in the southern part of the island. Many of these levadas provide fantastic walks through the breath taking landscape. Madeira is sky, mountain and sea at the same time. Here you can do para gliding in Calheta. You have mountain climbing, mountain walks, mountain biking, forest hikes, levada walks, canyoning, bird watching, coastering, swimming, surfing, whale watching, deep sea fishing and diving at the same place and the whole year around. 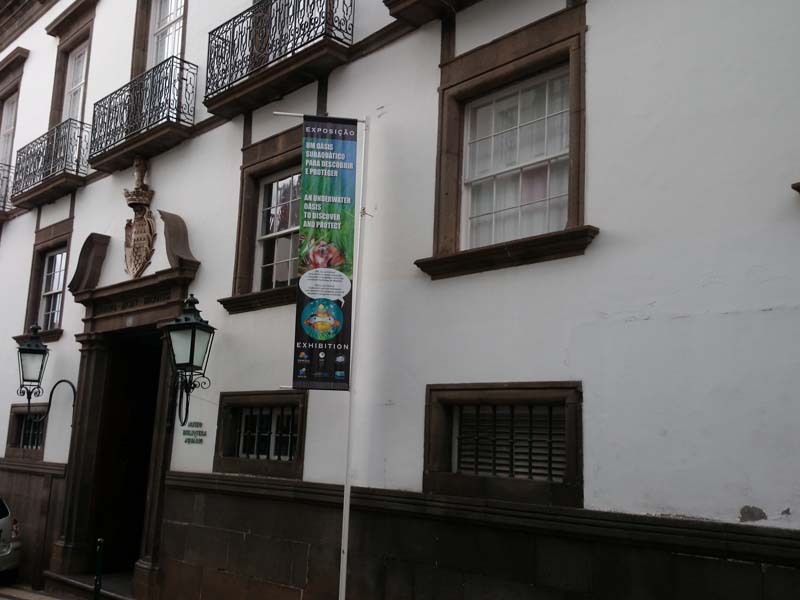 After this you can relax and rest in fantastic accommodation, quiet and comfortable but all near restaurants, bars and coffee shops.In the old part of Funchal a lot of venues are ongoing all the time. In one of the oldest streets, now closed for cars, Rua Santa Maria, there are bars, restaurants, art studios and a permanent display of the Painted Doors, most of the doors in this street are painted with a great variety of motifs or otherwise decorated. During the weekends you have flea markets. Parallel to this street you have Rua Bela Santiago. Here you have an up class building where the apartment is found. In the middle of the building there is a patio with big built in flower boxes. 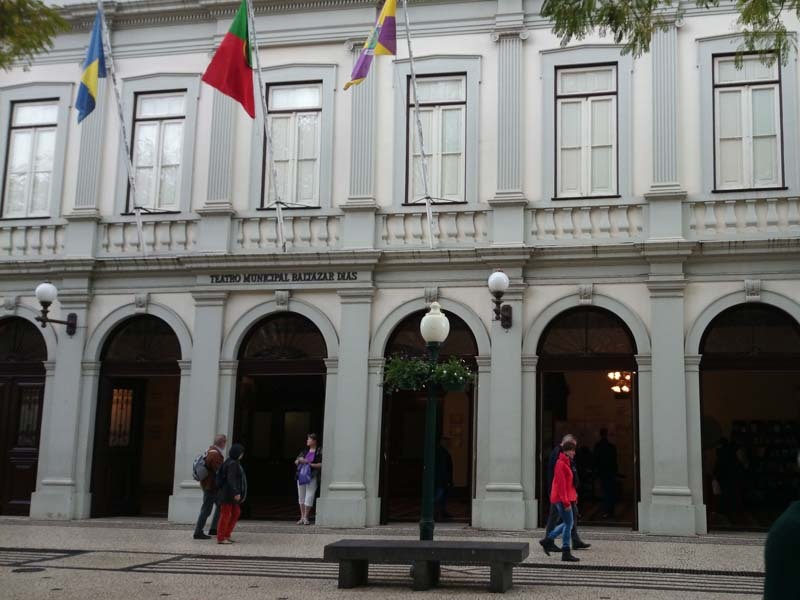 Like all great cities of the world, also Funchal has a municipal theatre. 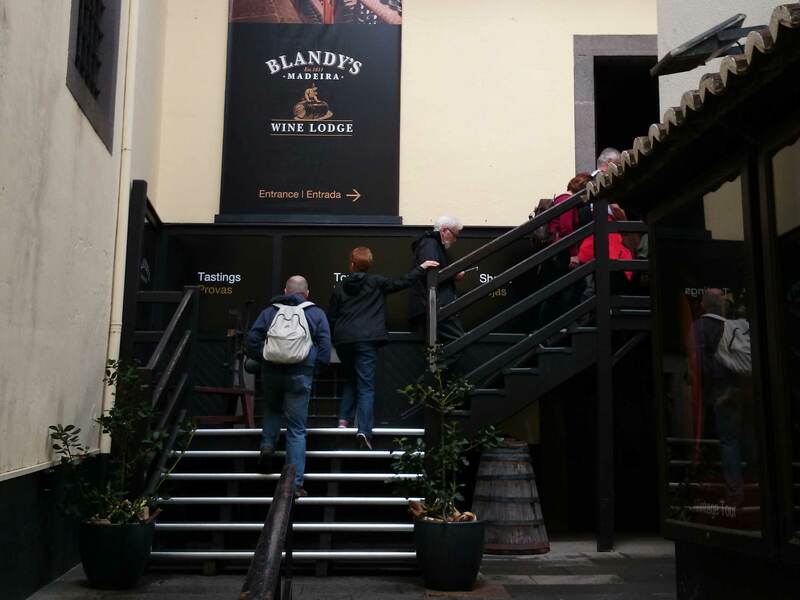 In our case, the Baltazar Dias Theatre in honour of the blind poet of Madeira - Baltazar Dias – play writer of the second half of the XVI century and is also represented in popular plays in Africa, in Brazil and in Europe. Built in 1888, the Municipal Theatre was the scene of the most important cultural events in Madeira, whether on stage or on screen. In this museum are exhibits the memories of the life and work of Sister Mary Jane Wilson, the foundress of the Franciscan Sisters of Our Lady of Victories. In the space where there once stood the Manueline House of João Esmeraldo – a Flemish merchant who settled in Madeira at the end of the fifteenth century to produce and negotiate sugar – you will find the Museum of the Sugar.Archaeological excavations 1989 in this space, uncovered large and rich testimonies of the estate of daily life between the sixteenth and seventeenth century, part of which is one of the two exhibitions of the museum. The other include a Sugar Loaf, Sugar Shapes, paintings and Flemish sculptures, a rare set of Manueline measures, counters and objects in silver carved with the coat of arms of the city. It is also worthy of attention objects of the Orient, which include two copies of Chinese porcelain of the seventeenth century, high technical and artistic quality. 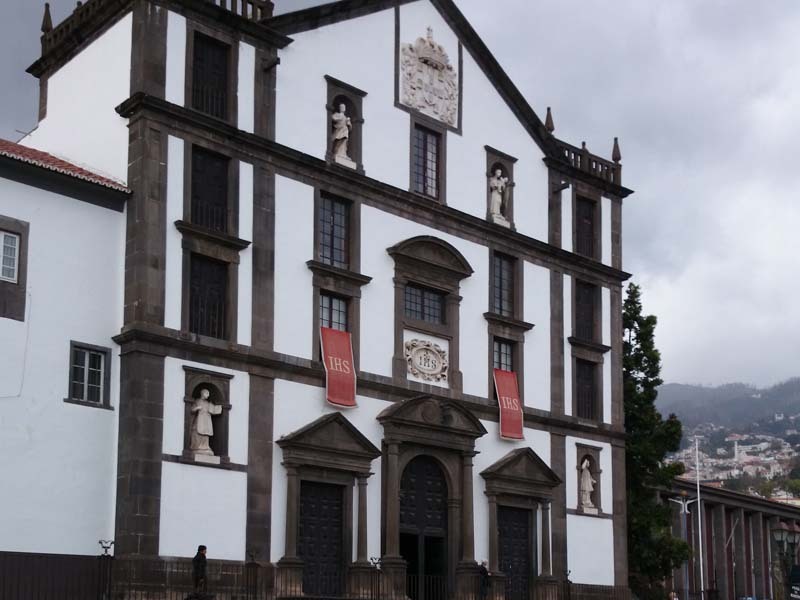 Created by the city of Funchal in 1929 and installed in the Palácio de São Pedro, this museum is called the Madeira Regional Museum. Its collections include pieces not only of Natural History, but also ethnography, archaeology and art. Installed in the space of the old Funchal Power Plant, commonly called "Casa da Luz" you will find exposed a set of documents and machinery through which we can observe the progress of the installation of electricity in the Region. 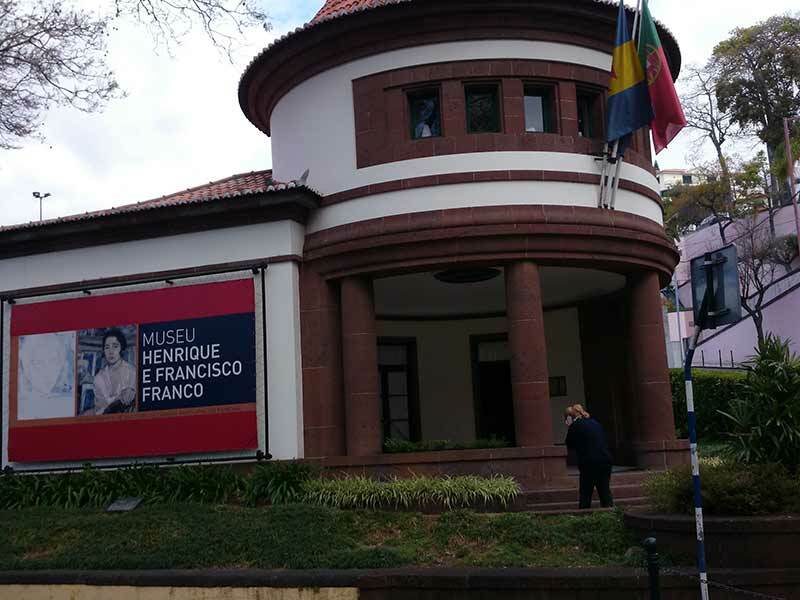 Set in the Palácio da Calçada, once belonging to the Counts of Calçada, this museum was opened in 1988. Among the various nuclei is the sculpture collections, painting, engraving, furniture, ceramics, glass, metals and a valuable collection of tiles, installed in a building specially built for this purpose. It consists of the former home of Squires of das Cruzes, the Chapel of Our Lady of Mercy and a beautiful garden where also an orchid garden and an Archaeological Park is included. 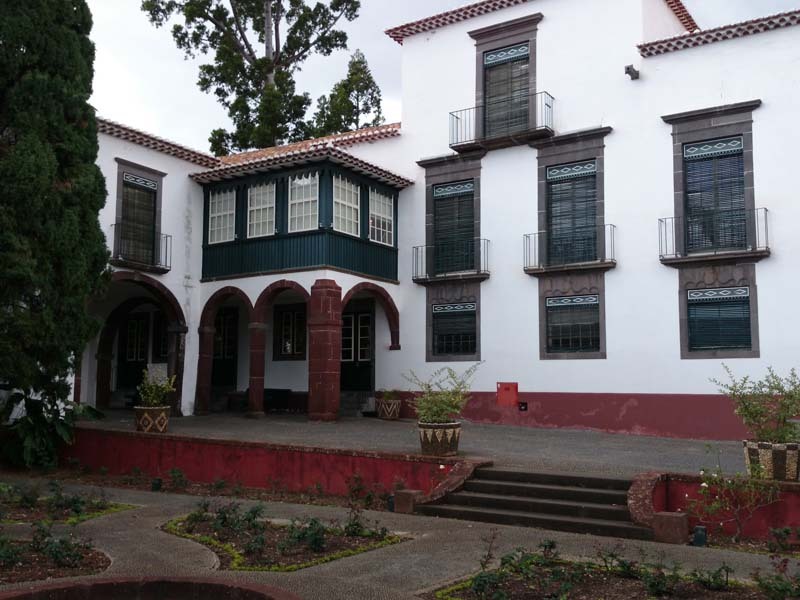 Quinta das Cruzes is associated to the figure of João Gonçalves Zarco, since it was in these surroundings, where he established his second home. One of the most impressive things about this museum, in addition to the important collection of photographic original is practically the entire organizational structure of a photographic studio of the nineteenth century with: scenarios, furniture, machinery and other photographic paraphernalia used for more than a century. 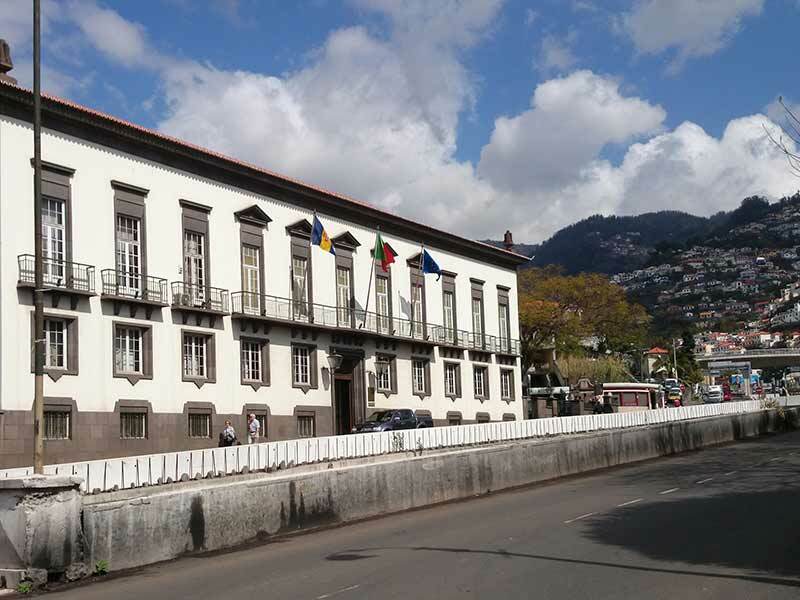 The name "St. Lawrence Palace" refers to a monumental assembly comprising the Fortress, built in the first half of the sixteenth and the Palace, official residence of The Minister of the Republic in the Autonomous Region of Madeira. (Other hours by appointment only, groups larger than 10 people). 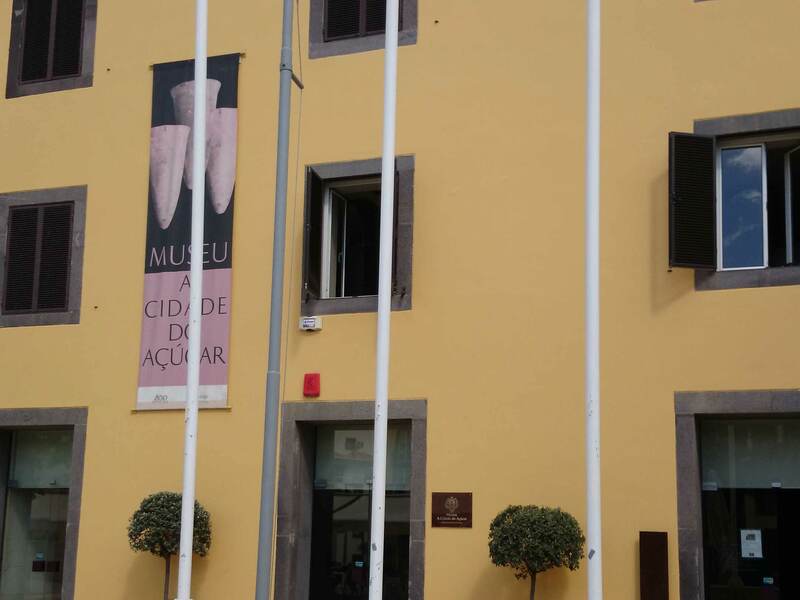 In this museum you will find letters, documents, books and utensils used in the different phases of Maderia Wine production. You can also participate in wine tasting. 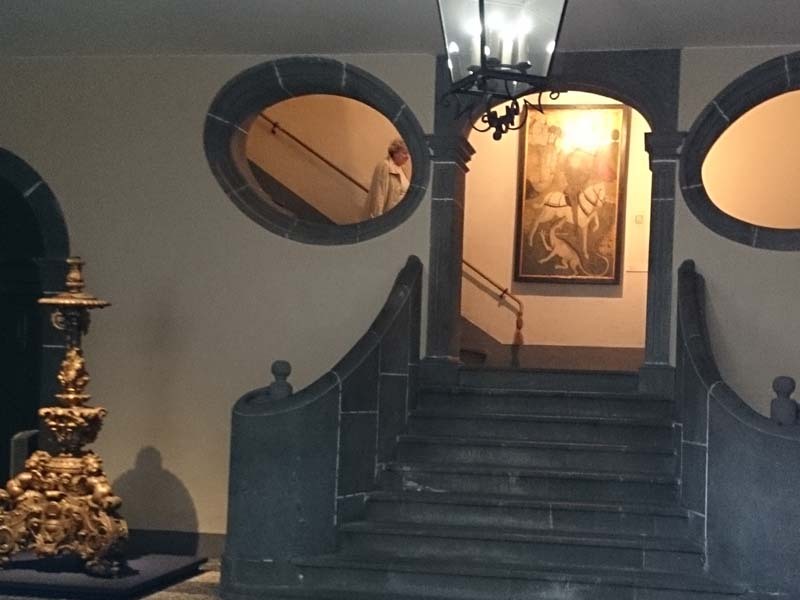 In this museum it is tried to recreate the romantic ambiance of a Madeira house, specially noting the importance of embroidery in the XIX century. 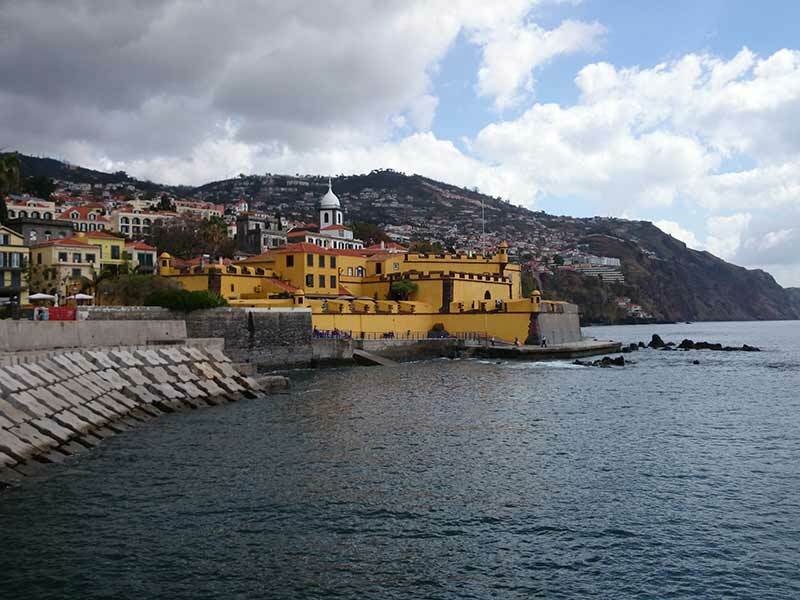 This fort was constructed in the XVII century to protect the city of Funchal. In 1992 the Museum of Contemporary Art was installed here, showing mostly contemporary paintings. Shows the work of the two brothers, Henrique a painter and Francisco a sculptor. Opening hours: Monday to Friday, from 09:30 to 18:30 hours without interruption for lunch. 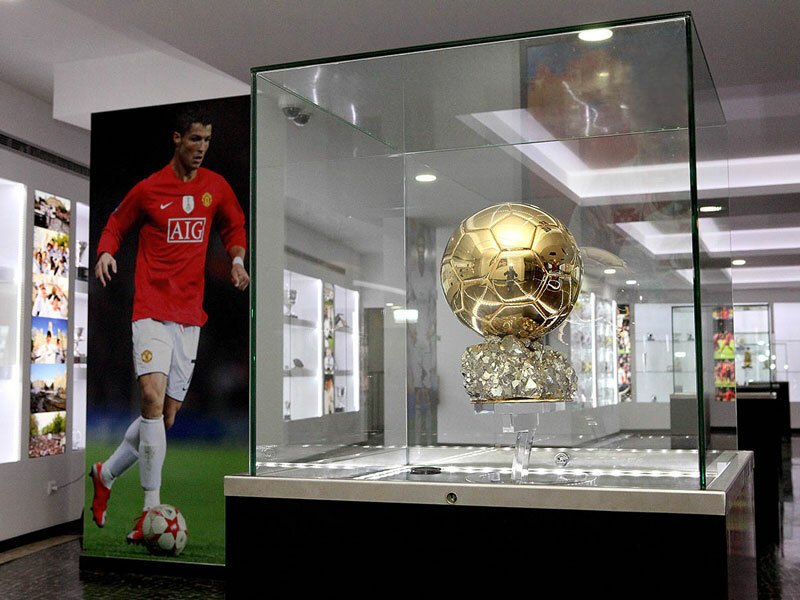 The Museum of Cristiano Ronaldo, located at the entrance of the city, facing the harbor of Funchal, boasts 145 trophies, highlights are the 2 Golden Balls (2008 and 2013), two Golden Boots (2007/08 and 2010/11) and a replica of his wax statue. Cristiano Ronaldo dos Santos Aveiro, Cristiano Ronaldo was born in Santo António, Funchal, February 5, 1985, play at Real Madrid and is the captain of the Portuguese national team. Opening hours: Monday to Saturday from 10.00 to 18.00 without interruption for lunch. 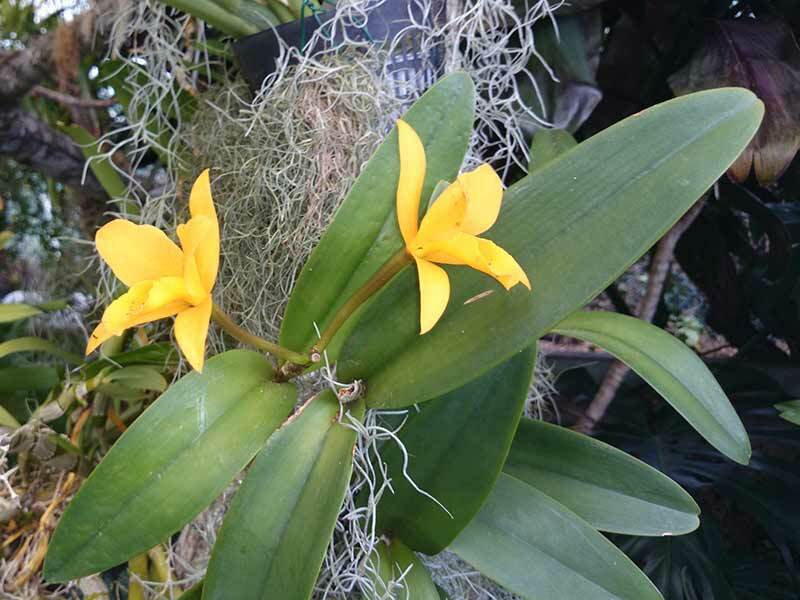 This is a place that is all about orchids, it has a vast, truly superb and beautiful collection of orchids very much worth seeing. The conservatory is up on a hill and has a beautiful view of Funchal, make sure you enjoy it at the end of your trip. This is a must for true plant lovers. Rua Lombo da Boa Vista. A complete list of Private gardens can be found here. A complete list of public gardens is here. Jardim Orquídea is a genuine exhibition. 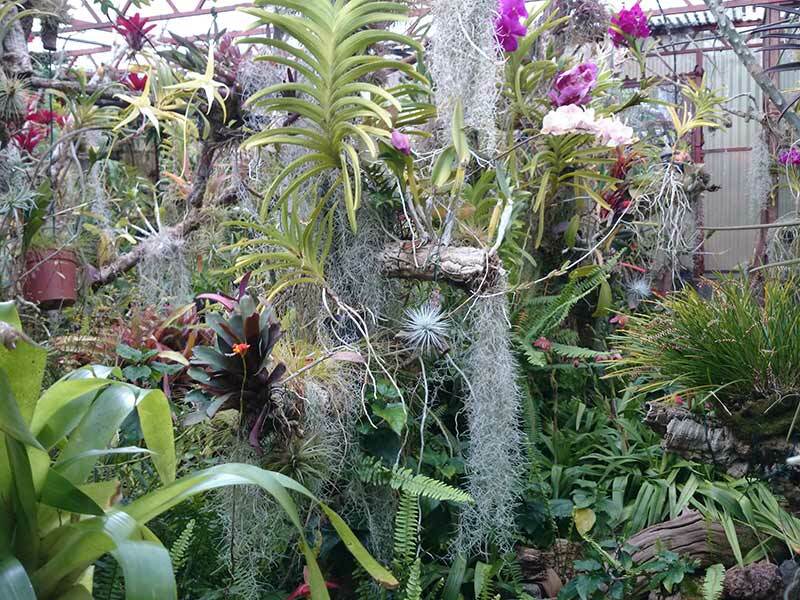 There is built a miniature forest where you will have the opportunity to admire a wide variety of orchids, both in their original form and hybrids, as well as other tropical plants. They have also built up a symbiosis of plants, birds and fish in the tropical biotope. 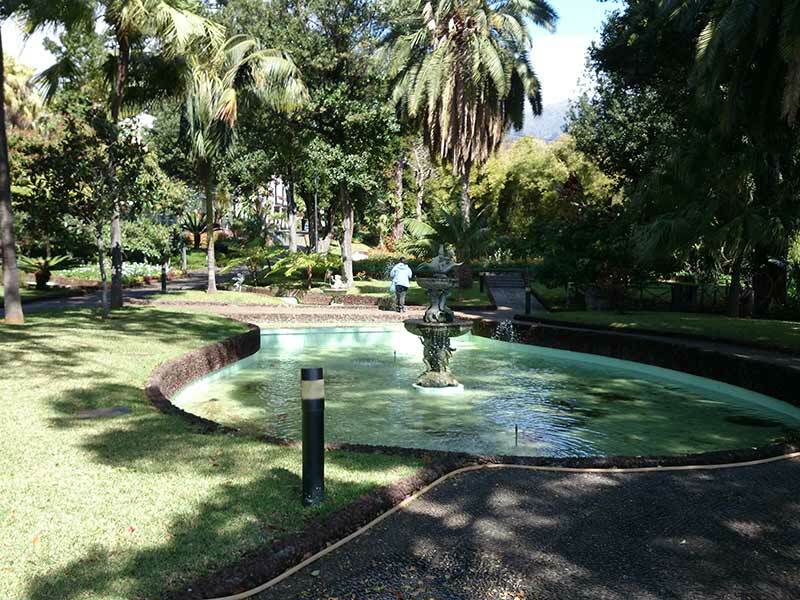 Funchal is often considered a Garden City, with the great diversity of green spaces and a floristic richness. Thanks to the mild subtropical climate and fertile soils a wide variety of tropical and subtropical plants can be found in public parks and gardens. Most are duly marked with an identification plate which contains the scientific name, common name (for which they are known locally ), the family to which they belong and the location of where each plant originated. These nuclei are important spaces for recreation and leisure, as well as to know, for both residents and tourists.A complete list of the Private gardens can be found here. And another of public gardens is here. The Farmers market was a project by Edmundo Tavares (1892-1983) and it was inaugurated on 24 November 1940. This testimony of the architecture of the “Estado Novo”, reflects the grandeur of its design, the intention of making it in the big center of the citys food supply.The facade, the main port and the fish market are adorned with large tile panels dated 1940 and painted with regional issues, by João Rodrigues. The space is organized in small squares, streets and stair cases where many products, colours, sounds and aromas are found. 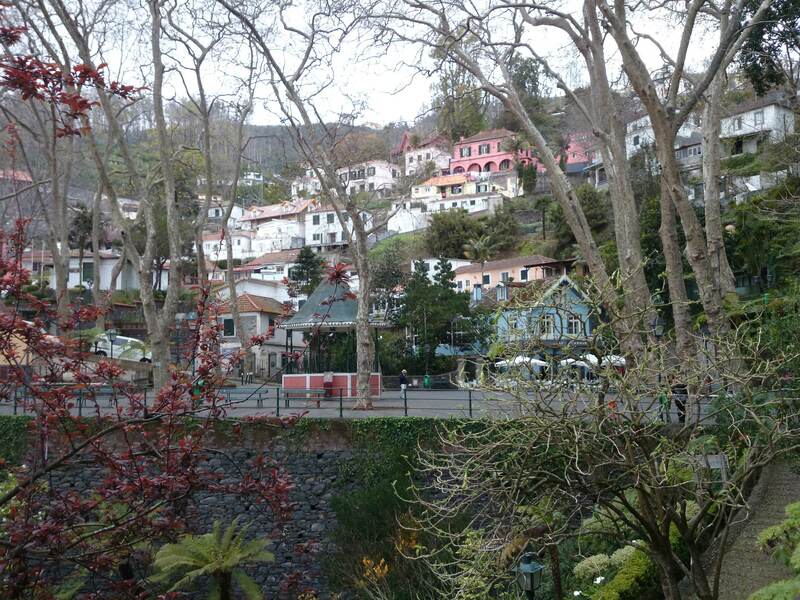 The Monte is one of the nicest places in Madeira. 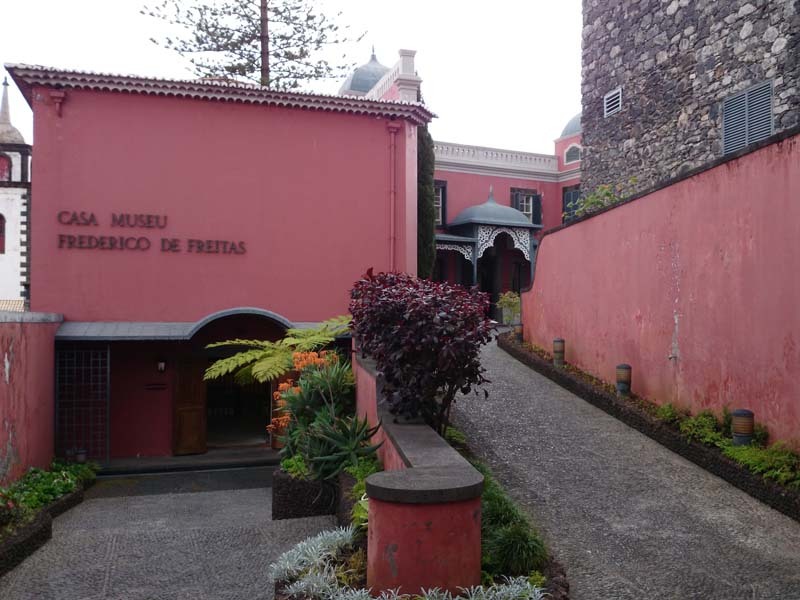 With a prime location in the amphitheater of Funchal, the village of Monte, located about 9 km from the center and 550 meters above sea level is undoubtedly one of the places to visit. 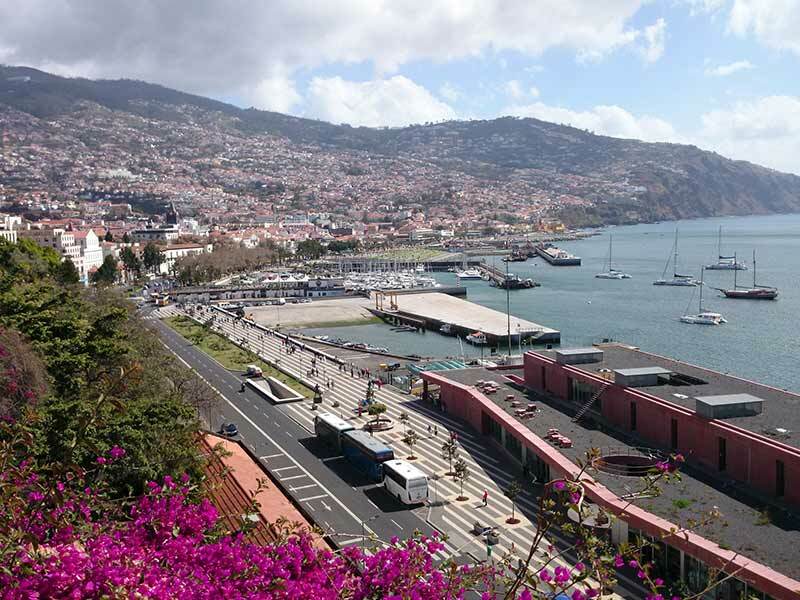 With a lush vegetation and superb views of the amphitheater and bay of Funchal, it was, from the beginning of tourism on the island, the place of choice of visitors to Madeira. One of the nicest ways to reach the Monte is by the cable car that connects the Zona Velha of Funchal to the village of Monte in just 15 minutes and provides spectacular views over the bay of Funchal. The church was built on the foundations of the original chapel that was built by Adam Gonçalves, the son of Gonçalo Ferreira Aires, squire and settler of the island. Later, by requirements of the service and the increase in the number of believers, the church was enlarged. In 1748 an earthquake left the new church much ruined. The church was several times the target of works that embellished the facade of the temple with its two bell towers, which could be seen from the sea, and served as a reference point for sailors. On the high altar is the image of Our Lady of Mount, venerated since the early days of the settlement of the island of Madeira In one of the side chapels the tomb of Carlos of Hapsburg, the last emperor of Austria, who lived in exile in Madeira, was placed. He arrived on the island in 1921 with his wife, the Empress Zita, and their seven children and have stayed in the "Quinta do Monte". It was there that he died of bronchopneumonia, the April 1, 1922. The church of Our Lady of Mount hosts every year thousands of pilgrims, on 14 and 15 August, one of the largest festivities in Madeira. 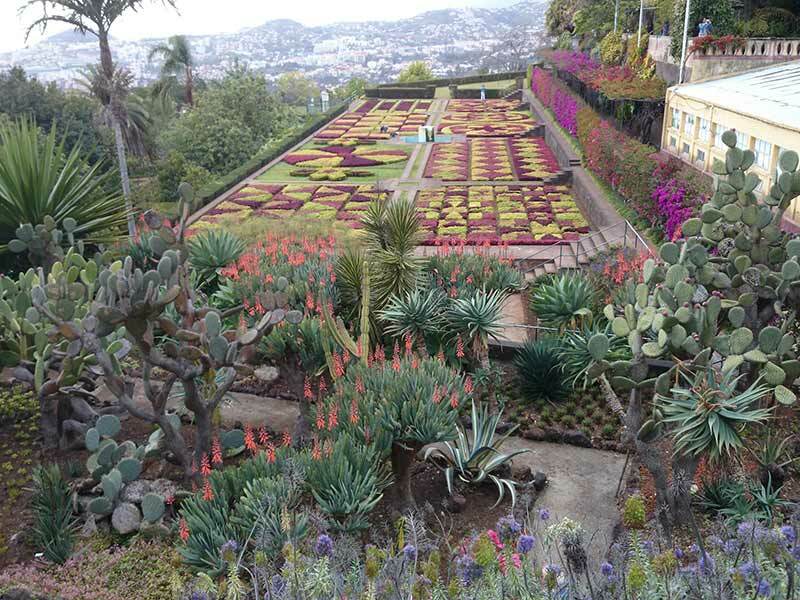 In Monte you will also find the Monte Palace Tropical Gardens and Museum, a visit not to miss. 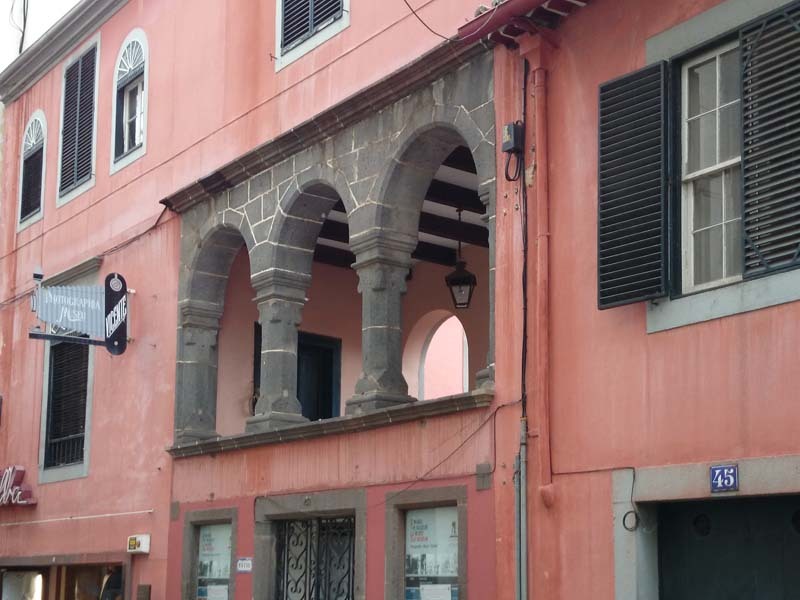 The Old part of Funchal is facinationg. 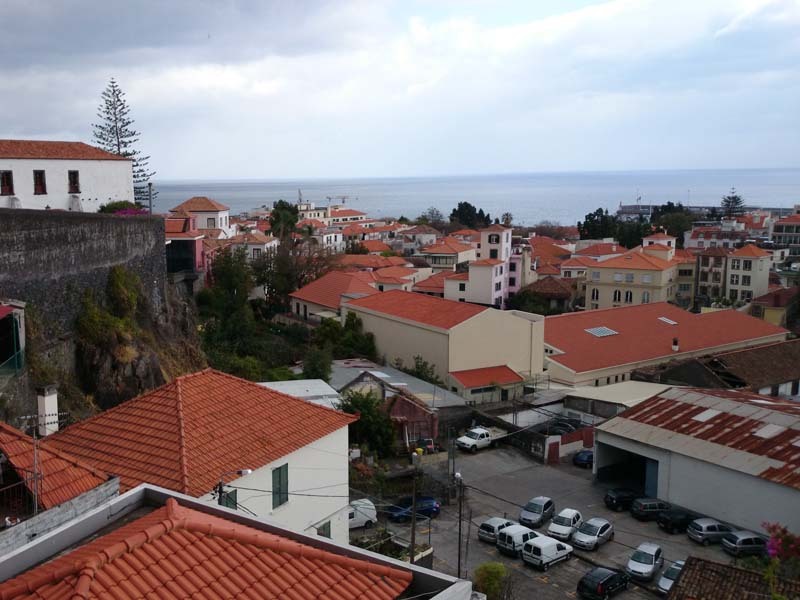 Being in the middle of the old town of Funchal you are walking distance from a lot of leisure. 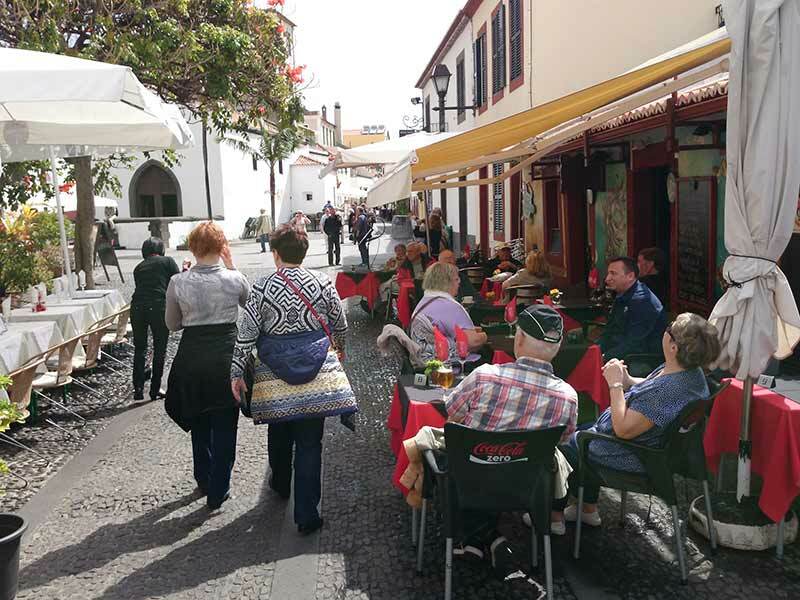 The Zona Velha of Funchal is a place for day and night. At day time you have the gardens of Almirante Reis, the beaches and the painted doors in Rua Santa Maria. At night you have the more than 60 restaurants and bars in the same area. Here you also have the cable car station to Monte and the main bus stops. The farmers market built in 1940 is a place for sight, smell and taste. 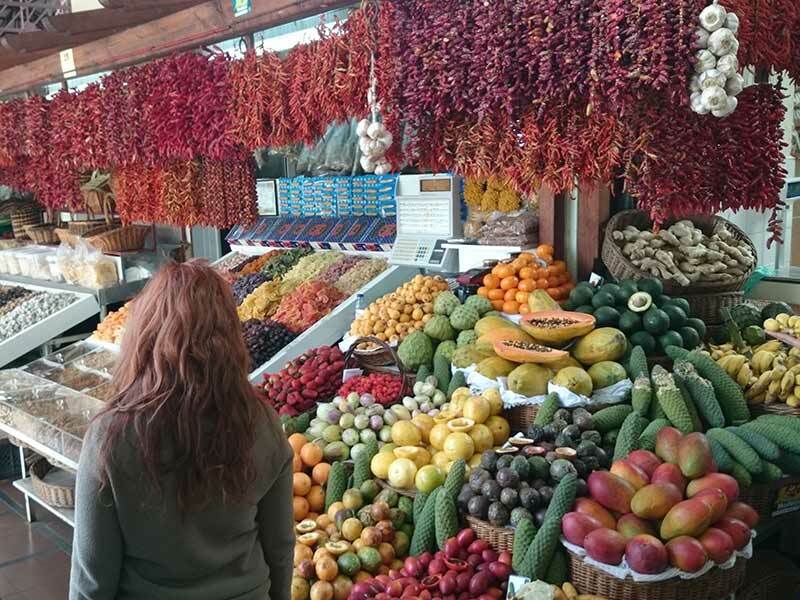 Here you have the fruit and vegetable market with exotic fruits in all colours next to the exciting fish market. See the ugly but delicious scabbard fish and the impressing tunas. 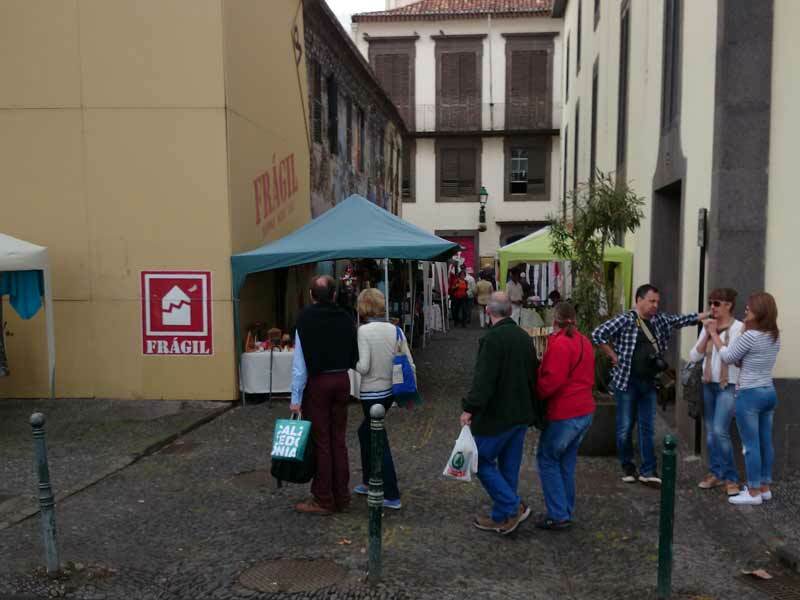 Driving in to Funchal, you have the farmers market, fish and fruit market just as you come down to the centre. Every weekend there is a flee market in the old town. As you leave the airport follow the street signs pointing the way to Funchal. There is a fast highway running all the way from the airport to Funchal. You need to carry on in a westerly southerly direction for about 15 minutes until you see a street sign pointing to "C. de Barca", exit number 12. Drive down to the sea untiol you see Centro Comercial Anadia on your right hand side in Rua Visconde de Anadia. Here you take the left line, turn left above the market and then in Rua Hospital Velho. In the end you have a round about. Rurn right and there you have Rua Bela Santiago. 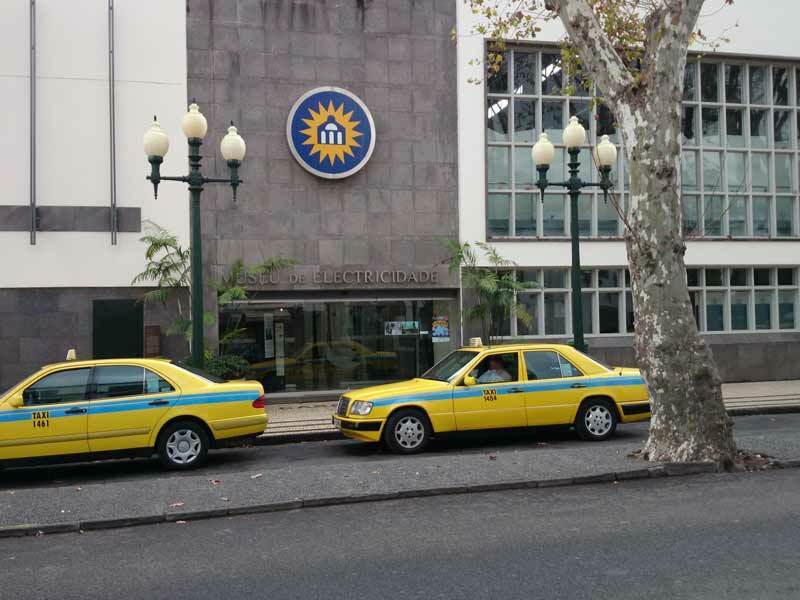 Drive about 100 meters until you have a building on the right hand side where there is a bank, Caixa Geral de Depositos. You are at number 18 and at the right place. The best is to ask for transfer vith Manuel. Contact Johnny and he will arrange the transfer. It is cheaper than taxi, and Manuel will pick you up at the airport with a sign with your name on and bring you directly to the apartment. He will also phone Johnny when you are in his car, so there is no extra waiting. 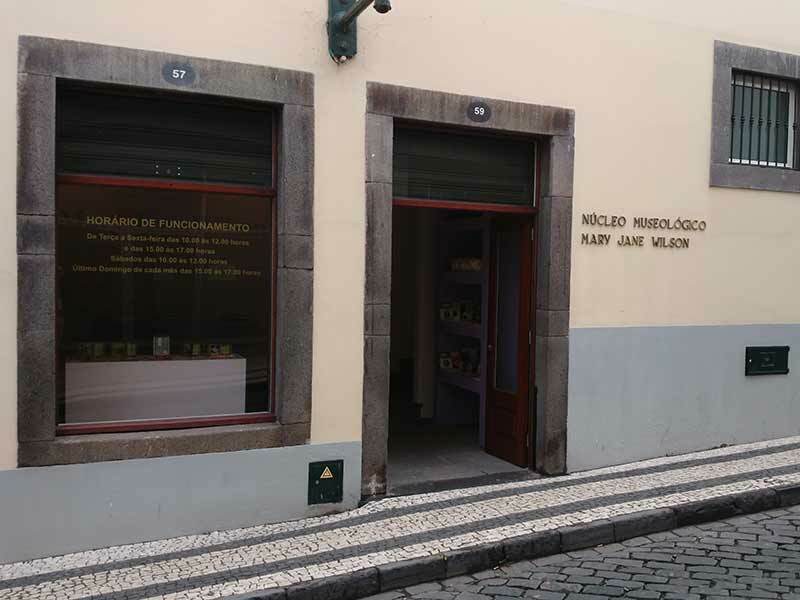 In the old town of Funchal you have two Spar supermarkets, one in Rua Santa Maria and the other in Rua Dom Carlos I. 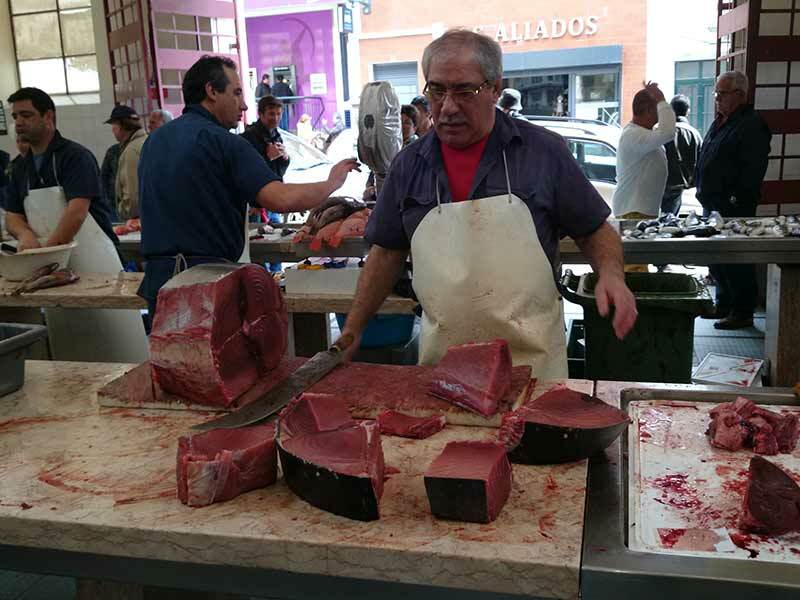 In the Farmers Market and around this you will find a lot of local products like fruit, fish, vegetables and meat. Across the river from the Farmers Market you will find the Shopping Center Anadia. In the bottom part of this center is the supermarket Pingo Doçe. Up the street, Rua do Seminário, at the other side of the shopping center, you have the Supermarket Continente. I recommend to try to do the shopping in the small local shops, this is a way to support the local economy. Try the shoe shop “a Futurista” in Rua Bela Santiago. Here you will get high quality Portuguese shoes at a fantastic price. You have several shopping centers, like Anadia, Marina Shopping, Dolche Vita Shopping, Forum Madeira and Madeira Shopping. In the last two you will also find the cinema theatres in Madeira. There are a lot, more than 60, restaurants next to the apartments. I can mention as trust worthy Restaurante Tapasol and O Jango. 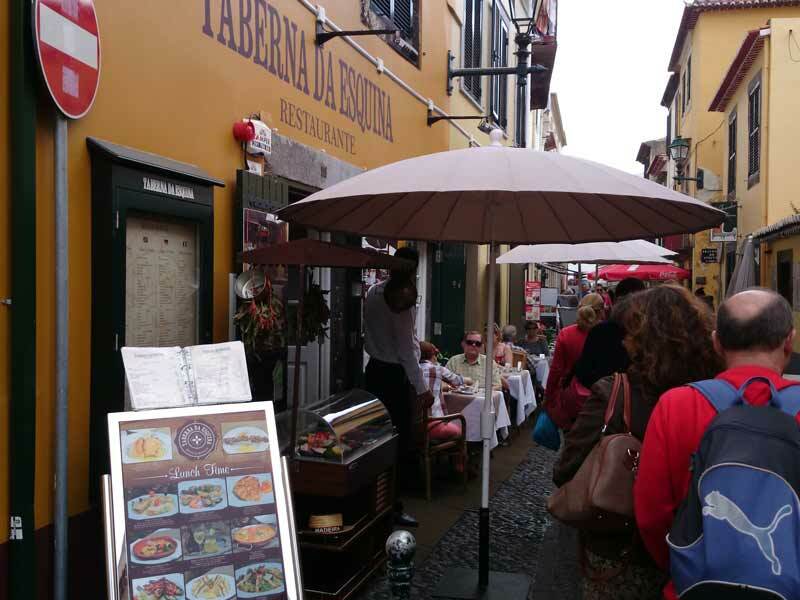 Then you have the Restaurante do Forte and Mozart where the all in one menu is worth a try. In O Gavião Novo in Rua Santa Maria the fish is the thing. In o Almirante, in the end of the same street, try the suckling pig. The Taberna da Esquina is always good. You will find a lot of bars and venues in the old town. In Rua Santa Maria the Vintage 23 Bar is very popular. On the street in front of the Cathedral you have several esplanades like the “Rits” and “Bar to Teatro”. The Mini Eco Bar is also great. Check https://www.facebook.com/pages/Mini-Eco-Bar/174161002629951 For discos, the “Vespas” next to the statue of Cristiano Ronaldo is the most frequented.. 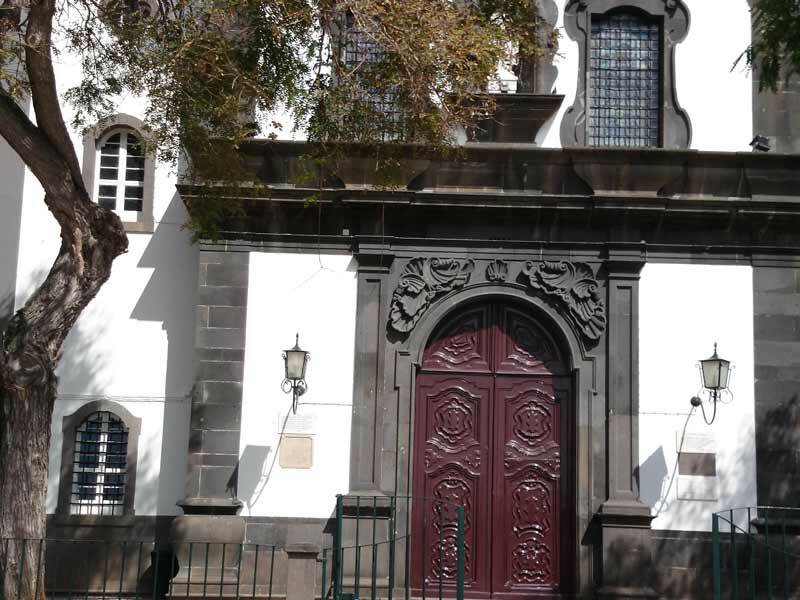 The church of Santa Clara dating back to the fifteenth century, was built by João Gonçalves Zarco, the discoverer of Madeira and the first captain of Funchal. It has been increased at the end of the century, to be integrate the Convent of Santa Clara, hence, it possess artistic and architectural elements of the centuries XV, XVI and XVII. The early construction preserves the Gothic marble portal, two archivolts and the tomb of Martim Mendes de Vasconcelos, who died in 1493. From the XVII century it include: the silver tabernacle, made by goldsmiths in Madeira in 1671, the decorative painting of the church and parietal pad coating in polychrome patterns. This church, the old Jesuit Church, Mannerist style of the seventeenth century with a single nave, and a highlighted main chapel, presents an architectural scheme, one of the most publicized in history, carried out by Jesuit missionaries who expanded the Word Christ the world. Inside we find several paintings of the seventeenth and eighteenth century, with gilt frames, dated 1660. Built in 1514 and has one of the most beautiful ceilings in Portugal made from local wood. The architectural beauty of this cathedral is associated with its Moorish-Gothic and Roman lines. The stalls of the main chapel, is in Flemish style, the main door is gothic and the seventeenth century golden wood carvings has some of the features of the Manueline. Most of the original treasures of this church is preserved even though it was sacked by the French Pirates, due to a clever priest who hid it under a decaying and stinking corpse in one of the sarcophagus. 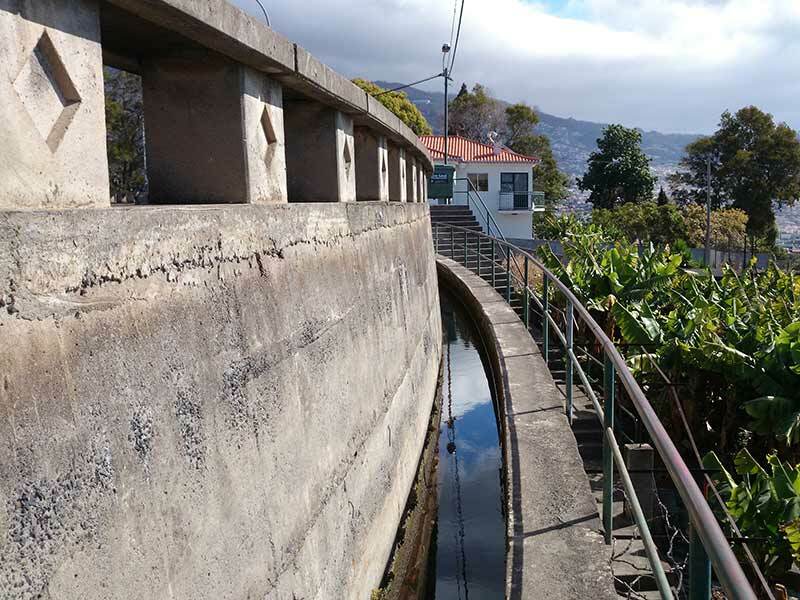 You should begin this route just above the Barreiros Stadium, more specifically, at the meeting point of the levada with the road that give access to the Nazaré. After the road of Amparo you have a great view overlooking the beach Formosa. Next to the path there are indigenous plants and exotic plants such as tobacco and canes. Upon reaching the first tunnel is advisable not to continue. You will extremely low tunnels, channel bits without protection on both sides and very slippery. The beginning of this track is made along the old footpath that links Largo Babosas in Monte to Curral dos Romeiros. You will not miss it, being the only way that is still used by the lokals. Before the bridge over the Ribeira John Gomes, about 1 km after the start, on the left hand side, there is an earthen path leading down to the start of another levada, the Levada do Bom Sucesso. It's a journey of about 2.5 km. This levada can be continued to Palheiro Ferreiro. You start as on the one to Pontinha, but do not turn left at the roundabout at the end of Praça do Mar. Walk up the street to the Hotel Pestana Carlton, and then along the main road to the Lido. 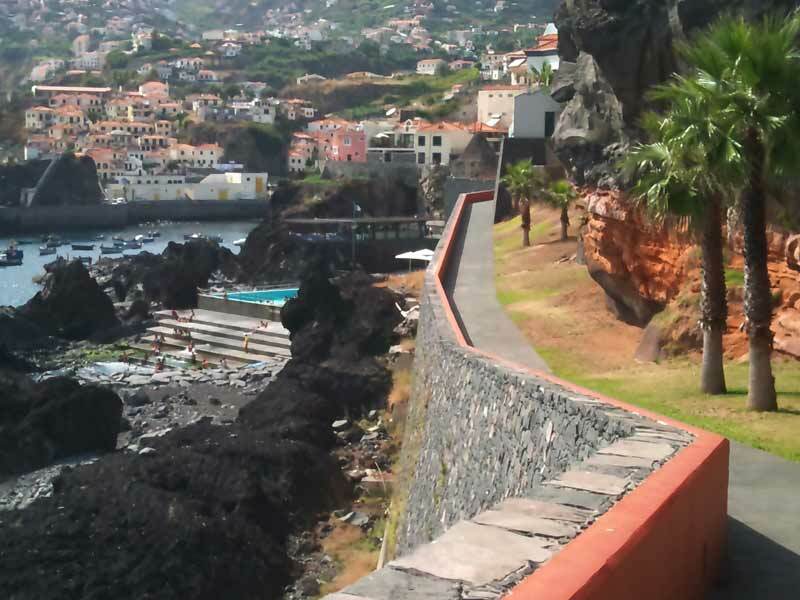 Here you walk down, and you will have the Promenade do Mar all the way to Camara de Lobos. It is a long walk, so be prepared to take a taxi or bus back. If you start the walk next to the Forte San Tiago, below Hotel Porto Santa Maria, you can walk along the sea, passing the beautiful Praça do Povo, the Avenida do Mar, Praça do Mar where you find the Statue of Christiano Ronaldo, and then turn left and walk out the harbour. From the pier you have a fantastic view of Funchal.